56 Chevy clock wall hanging tail fin, ideal for gameroom decor or restaurant decor. Beautiful paint job! 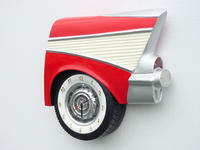 This handcrafted wall clock 56 Chevrolet tail fin is made of polyresin and reinforced with fiberglass. 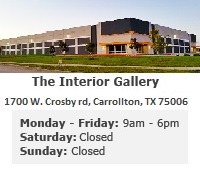 Great for the game room, restaurant, cafe, lounge booth, or any special event decor.